We are the point now where FIFA 16 has been out for some time and most people who are going to play the game own it. In writing a FIFA 16 review I prefer to have this waiting period to let some of the hype die down. My first impressions of playing FIFA 16 is that there really isn’t a whole lot new with it other than being an updated iteration of EA Sports FIFA franchise. After spending some time playing the game, this initial impression is very accurate. For this version of FIFA I ended up purchasing both the PC version on Origin as well as having received the PS3 version for Christmas. When playing the PC version I have always used an XBox 360 controller for Windows. After spending a few weeks playing FIFA 16 I have found that the gameplay has had very little in the way of changes made following FIFA 15. In many ways this is good, but it leaves me wondering what the point is in getting a newer iteration. What I found most frustrating is that the few changes they did make seem to have made gameplay worse. Too often it feels like there is a delay between what I want the players to do and what they actually do. This becomes a problem primarily when playing with others online where there is already a delay from internet lag. In FIFA 15 the abilities that I appreciated most were being able to shield the ball and being able to close control the ball. These are two of the changes in FIFA 16 that I have found to be the most frustrating. I’m not entirely sure what it is they did, but players do not respond the same when attempting to use these abilities as they have in the past. Playing FUT is one of the primary reasons that I decided to upgrade to FIFA 16. The all new FUT Draft mode is a lot of fun with the ability to draft in high quality players and attempt to set up a winning team. There is a fair amount of RNG in this game mode, but even that adds an element of surprise that can be fun. So far the problem that I have found in both the PC and PS3 versions is in trying to find opponents to play against. This probably has more to do with the fact that fewer players are on both of these formats, particularly with the influx of next gen consoles like PS4 and XBone. It can get frustrating sitting and waiting for someone to play against, but that isn’t really EA Sports, or FIFA 16’s fault. Too few real changes made combined with poor changes made in gameplay mean that the only reason to buy this game is to be able to keep up with being where everyone else is playing and being able to have updated squads. The game engine doesn’t really look any better than FIFA 15 and the gameplay has had too many negative changes made to it. 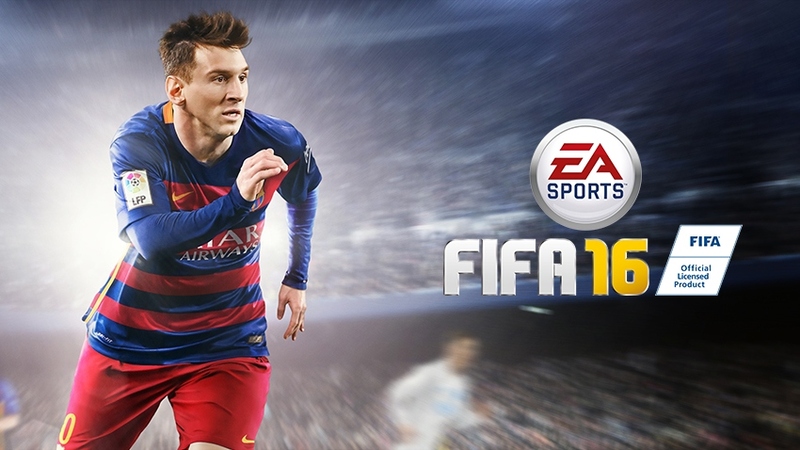 If you are happy with FIFA 15 then there’s really no point in “upgrading” to FIFA 16. If you want updated squads and the ability to play the FUT draft mode, then go for it. While this is primarily a review of the FIFA 16 for PC as well as a review of FIFA 16 for PS3, I believe the overall points are valid for all formats including PS4 and XBone. If you have read this review and you do play on either Origin or PS3, feel free to add me to your friends list and join me in playing. Also, feel free to leave your comments here on the blog or get in touch via twitter.